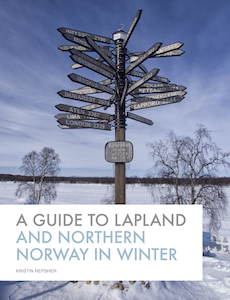 In many parts of Lapland, the history of the region isn’t immediately obvious. You won’t find any cathedrals erected in 1000AD or even many buildings built prior to 1945, when the retreating Nazis razed nearly all the towns in the region to the ground. While this means you have to dig a little further, it’s completely worth it to get a better understanding of Lapland beyond the beautiful vistas and never-ending forests, and there’s no better place to do this than in Inari. In the big open hall that houses Siida’s main exhibition. The small village of Inari is located 40km north of the regional centre of Ivalo, but in many ways it overshadows its much larger neighbour. The town enjoys a prime location at the mouth of the Juutuajoki into Lake Inari; the lake itself (known as Inarijärvi in Finnish or Aanaarjävri in Inari Sami) is the largest in Lapland and is dotted by more than 3000 islands. 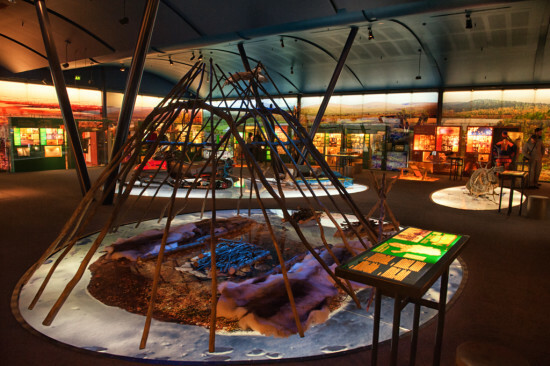 The town’s status as one of the centres of Sami culture in Finland is reflected in its excellent Siida museum and the nearby Sajos, where the Finnish Sami parliament meets. 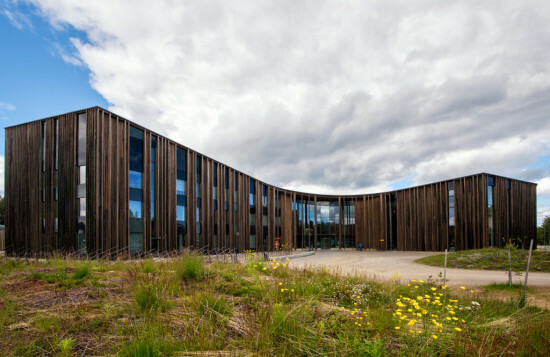 Sajos, the site of the Finnish Sami parliament. I highly recommend spending as much time as possible exploring Siida and Sajos; I spent almost a full day between the two during my winter visit in 2013. However, while I was intrigued by the open-air museum at Siida — which is only open in the summer — I decided to explore slightly further afield on my summer trip since I was no longer limited by metres upon metres of snow. 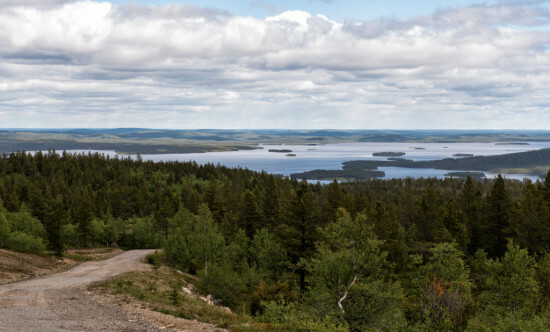 That’s a lot of islands — and from this lookout, I could only see a small portion of the massive Lake Inari! My first port of call was Ukko Island, also known as Ukonsaari or Äijih. Located around 11km away from the town of Inari, this island is only accessible by boat. Luckily for me, Lake Inari is quite calm even on stormy days so the cruise from town — on a ship that departs twice a day in summer — was still enjoyable despite poor weather. That’s coming from someone who is usually the first to get seasick as well! 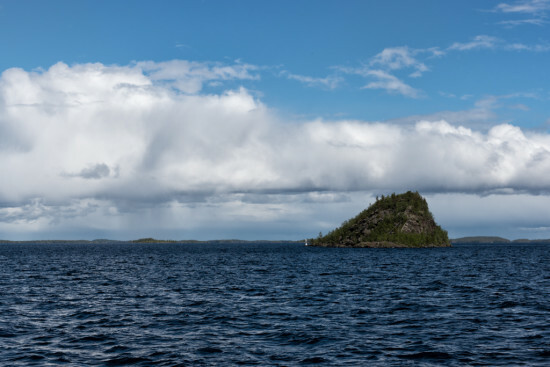 Ukko Island, as seen from the Lake Inari cruise ship. Ukkonsaari is the namesake of the god Ukko, the god of the sky — particularly of weather and thunder — and one of the most important gods in the Sami mythology. 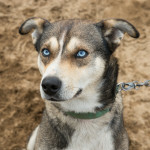 (It’s interesting to note that the Finnish word for thunder, ukkonen, derives from his name). It’s also no wonder that the island named after him is considered to be one of the most important and sacred sites in the area. Part of the island’s sanctity comes from the fact that the Sami made their sacrifices to Ukko there. In the 1800s, an Englishman named Arthur Evans discovered evidence of these sacrifices — in particular, the antlers of a reindeer surrounding the entrance to one of the island’s caves. Looking back towards the pier from the stairs leading to the summit of Ukko Island. 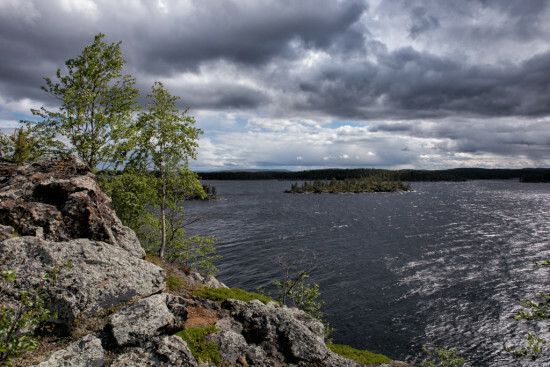 Since the Sami culture in general is entwined with nature, it is no surprise that one of the most striking islands in this area of Lake Inari became a sacred site. On nearly all sides, the cliffs of the island are forbidding and looked like they would have been impossible to climb; only one side provided a slightly more graduated route to the top. It was there that a pier and stairs have been built. I’d like to say that I was able to sit at the peak of the island and take in the gravity of it all, but Ukko had other plans in mind. At the top, the wind whistled past so quickly that we couldn’t hear anything else. We all barely got to the top to look out across the lake and its never-ending whitecaps before we turned back, hoping to beat the thunderheads back to the boat. A thundery view — very fitting, since we were at the top of the thunder god’s island. Unlike your standard scenic cruise, the Lake Inari cruise ship doesn’t go straight back to the port from whence it came; instead, providing the winds are right, it stops along the old postal route along the northern shores of the lake. 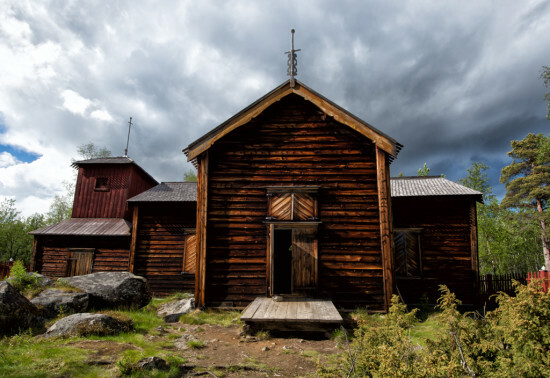 This is perfect for hikers like me that are keen to explore the Pielpajärvi Wilderness Church. As I mentioned above, there is not a lot in the way of old buildings in Lapland. 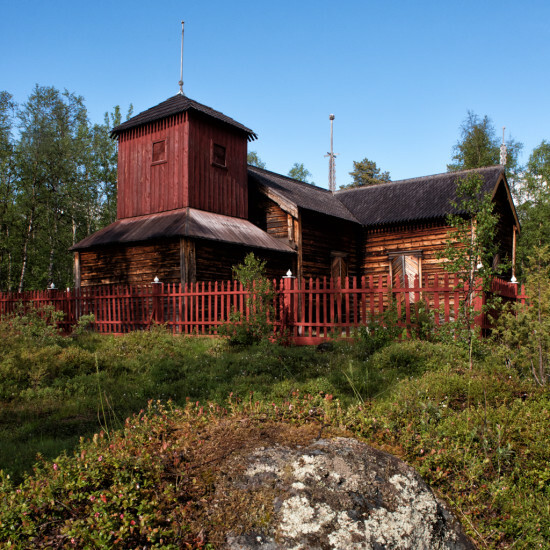 While there are still a number of beautiful buildings — like St Paul’s Chapel in Saariselkä, which is beautifully made of wood & glass and blends into the woods around it — the Nazis left Lapland as an almost blank slate architecturally. St Paul’s Chapel in Saariselkä. Luckily, as they retreated through the Inari and Ivalo area, they didn’t make it far enough afield to destroy Pielpajärvi. 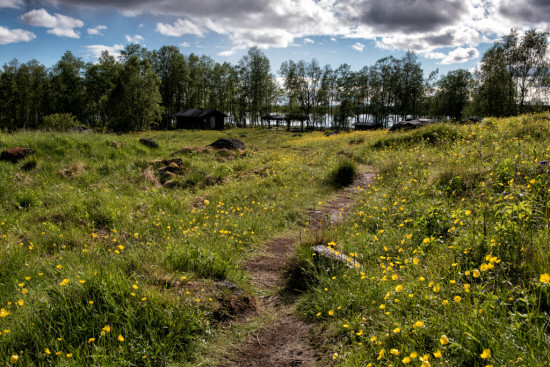 This area used to be the site of a winter village for the people of Inari — a place for the Sami to gather after spending the year living nomadically. While evidence has been found of a church built here in the 1600s, the current church was erected in 1760. Now, rather than being surrounded by the hustle and bustle of a town going about its business, it is surrounded by a beautiful, grassy meadow. When I finally saw this meadow, after 4km of hiking from the wharf at Pielpavuono, it was full of golden wildflowers, the raindrops dotting their petals sparkling in the fleeting sunlight. The meadow surrounding Pielpajärvi Wilderness Church. As I explored the church, it was hard to believe that it had been built more than 200 years prior as it was in such good condition. However, after reading the signs located around the meadow, I realised that it had been meticulously restored to its former condition after falling into disrepair when the village moved to the banks of the Juutuanjoki — where Inari is located today — in the 1800s. 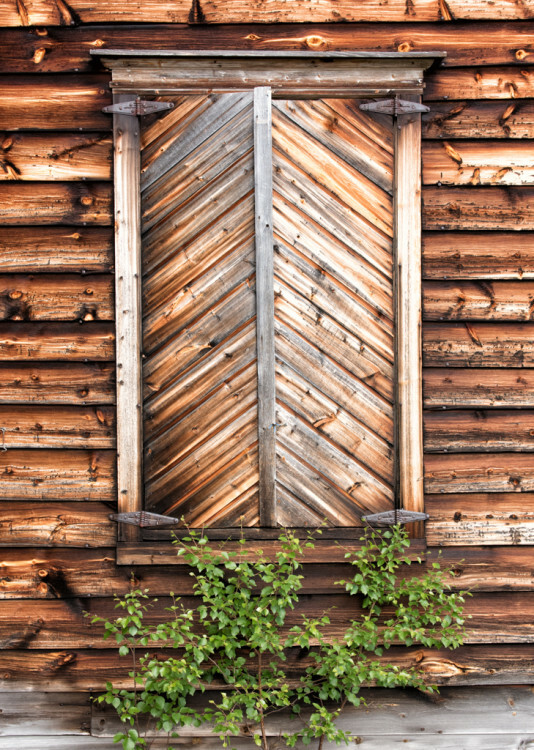 One of the windows of Pielpajärvi Wilderness Church. Inside the church, visitors have free reign and can explore any nook and cranny they want, provided they remember that this is a protected building. With that in mind, I carefully climbed a ladder to the second floor of the darkened church and stood, completely on my own, looking out on the cross-shaped worship area below. The hikers that had left the church just before I arrived had sat in the belltower ringing the bell, but my skin was crawling in the silence and darkness so I didn’t quite make it that far. A hailstorm gathering over Pielpajärvi. It turned out that I should have stayed inside the church slightly longer, because no sooner had I closed the church and fence doors behind me than a storm rolled in. This was no ordinary summer storm either; within seconds, I was taking shelter underneath a nearby birch tree in an attempt to avoid a hailstorm. I’d prepared for wet weather, but I hadn’t expected thundery hail to go with it! Another angle on the church. 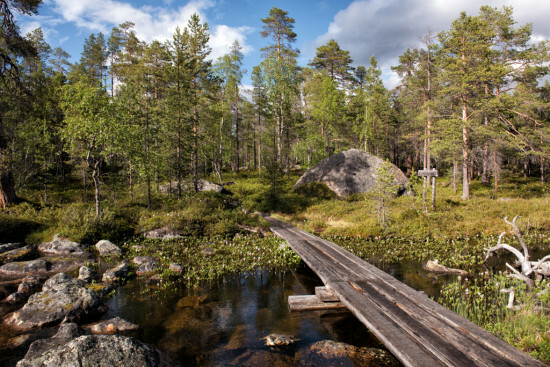 From Pielpajärvi, the rest of the hike back to town was a beautiful mix of calm lakeshore, thick birch forest, and boardwalks across boggy areas dotted with colourful flowers. It went up and over a few small hills, but it generally stayed at the height of the lake. Later in the summer, I could imagine the scrub alongside the track being filled with blueberries, crowberries, and other delicious treats just waiting to be picked. It was blissful, calm, and while a number of people passed me going in the other direction — after all, when the days are never-ending, you can start a hike late in the evening if you want — the silence of the Finnish forest soon descended again as the sound of their footfalls faded away. Ukko’s thunder had finally passed, and the day had turned into a glorious golden evening. The track heading back to Inari from Pielpajärvi. By the time I retrieved my car from the Siida car park — well after the museum itself had closed — there was no arguing the fact that I was tired. But, while I would have been much less weary from visiting a museum or reading a book, I wouldn’t have experienced the true force of Lapland’s nature — a force that is present in so many parts of the Sami culture. I wouldn’t have been blasted off the top of an island by wind or taken shelter from a freak hailstorm, and I wouldn’t have learned why having a sacred island named after the god of thunder was so truly fitting. I am by no means saying you should skip Sajos and Siida on your visit to Inari — quite the opposite. I believe any visitor to the town should leave plenty of time to see both; even in a day, you’ll still find that you barely scratched the surface of what they have to offer. I believe that they give you a strong basis for better understanding the region as a whole. But once you’ve been there, you should definitely venture further afield and see more of the region with your own eyes. Just make sure you bring a raincoat with you! 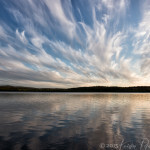 My stay in the Inari area was organised by Visit Inari, but all opinions stated here are my own. 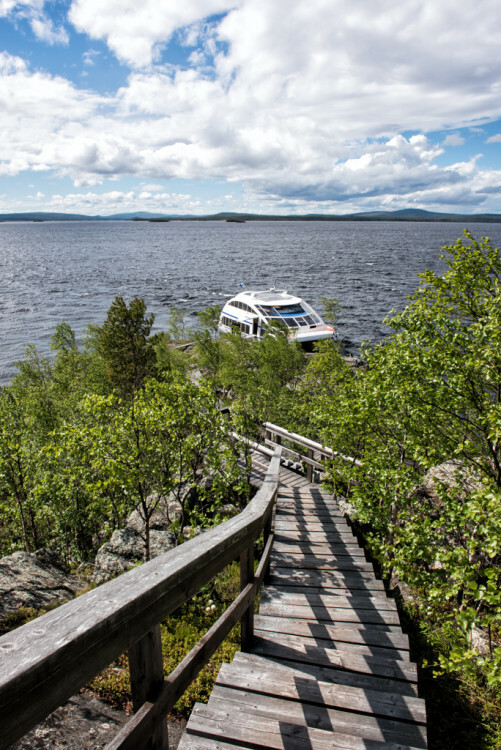 Lake Inari cruises are offered twice daily in the summer months; tickets start at €22. 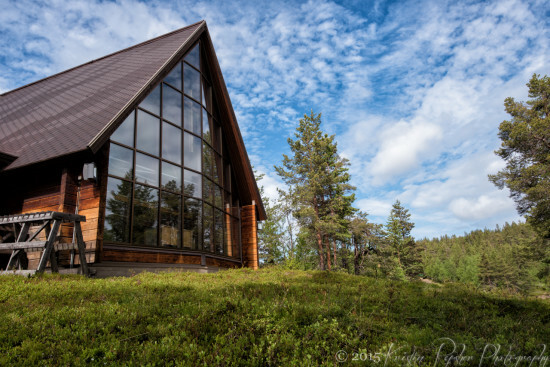 Visits to Pielpajärvi Wilderness Church are free, and the church is accessible either via the cruise ship or via a ~9km loop starting just outside Inari. Siida is open from 9am to 7pm daily in the summer and tickets cost €10 per adult. Sajos is open from 9am to 5pm; entry is free. Thank you to Finnair and Europcar Suomi for their sponsorship on this trip. Without them, I wouldn’t have been able to explore nearly as much of Finnish Lapland as I did. I always love learning more about the culture of a place. This village looks like an incredible one to visit!! You’re right Valen, Inari is an incredible place to visit — definitely a must-see on any Lapland itinerary! Oh all the wood in these photos! I can almost smell the trees! I also like that the Lake Inari cruise does not return to the same port so you get to see more of the beautiful landscape and experience something new along the way! 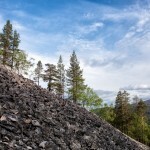 This is a destination I never heard of before – Finland is now on my list of places I want to visit! Haha, that’s how I feel too when I look at photos of the forests of Finland! And yes, it’s very convenient that the Lake Inari cruise makes some stops (it does eventually go back to the same port for those people that aren’t able to do the hike) since it makes the day just that little bit more adventurous. Great to hear that Finland is on your to-do list now — it is well worth the visit, winter or summer!